I’ve had a great time partnering with UncommonGoods to bring you some fun Mother’s Day gift inspiration, and more importantly, celebrate just a few of the inspirational moms I know. You know what’s coming? Mother’s Day. (You’re welcome.) You know what every mom really wants? For her family to acknowledge how much love and effort she puts into every little thing she does—from getting the kids out the door in the morning (or, if she’s still in the newborn phase, ever) to getting her family to the top of a snow-filled mountain in the safest, most weatherproof gear. I’m not talking martyrdom here. I promise. I’m talking a let’s-show-her-you’re-paying-attention celebration. Because no matter how common a mother’s worries are, each and every mother is anything but common. Uncommon, if you will. She sets her alarm for an ungodly hour—one she used to call “bedtime”. But now she knows that if she gets to this yoga class before her kids start stirring, each and every one of them will have a more om-worthy day. Not only is she a warrior, a triangle, and a cobra, she’s a mother—who just happens to sleep in her workout clothes so she won’t be late for her sunrise exercise. Yes, people, this uncommon woman has signed a permission slip, filled three lunchboxes, and breathed more oxygen than I do the entire day—and all by 7am. Namaste, my friend. Namaste. Consider getting a mom like this something that shows you’re flexible too. You can find Yoga Pose Hanging Sculptures here. And more uncommon Mother’s Day gift ideas here. 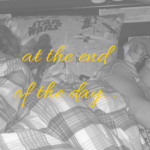 While today’s to-do list likely includes work, housework, blog work, kids’ homework, and her homework, she doesn’t flinch. Because in her new red heels, not a single one of these things feels like work to this uncommon woman. (Ok, maybe the kids’ homework does, but she is part human.) Not to worry though, after a family dance party, I think even she tackle Common Core. Heck, who am I kidding? I know she can. Consider getting a mom like this something that does the work for her. 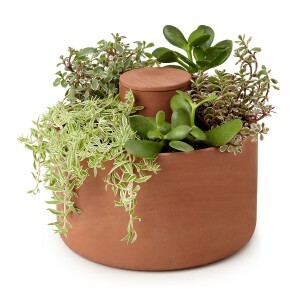 You can find the Self Watering Planter here. 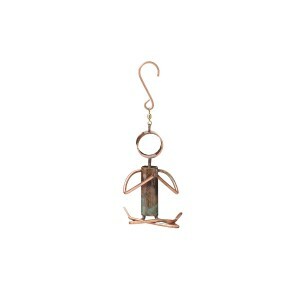 And more uncommon gift ideas for moms here. Long before her own kids are at the elementary school, she is—hanging yesterday’s art that will grace tomorrow’s neighborhood recycling bins. She faces each day ready to mold the most impressionable minds and dodge the most unruly limbs. If you ask the kids, she’s the best part of their day. (Other than recess, of course.) Not only because she smiles under the most questionable of conditions, but because this uncommon woman knows really cool things like why boats float, that “pie” rhymes with “sky” even though they look totally different, and that Billy’s favorite superhero is Iron Man, while Jack’s is Spiderman. If you ask me, she’s a real-life superhero. Consider getting a mom like this something to help her unwind at the end of the day (it’s 2:30pm somewhere!). 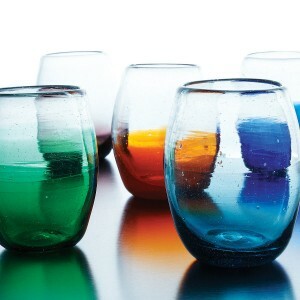 You can find the Multicolored Ombre Stemless Wine Glass Set here. Her goal for the day? 3000 words. And that’s just counting the ones she plans to write. Your eyes would bulge if you saw the stack of novels delivered to her door yesterday (along with six birthday gifts that should get her little ones through this weekend’s parties). And, oh, she’ll earn that new book smell just in time to sit through the kids’ karate class this afternoon. Yes, my friends, this uncommon woman is on a roll. And tonight, her family’s dinner will be too. Because, of course, she’s also a whiz with the slow cooker. 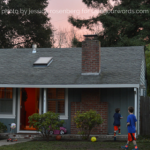 Consider getting a mom like this something that makes her look as good as hitting “publish”. 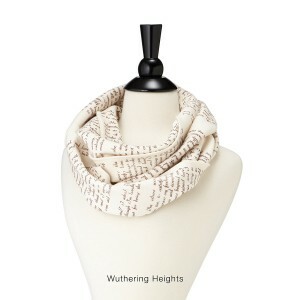 You can find Literary Scarves here. When the mountain calls, she answers. Without flinching, she packs an entire family’s head-to-toe gear (which the kids just outgrew again) in the back of her SUV. She’s thought of everything from snow suits to bathing suits, of course, because the forecast calls for a 70-degree high at the base of the mountain. And at the top of the mountain? Well, that’s where she inhales that glorious fresh air. But that exhale? It will have to wait. Because up here she has a perfect view…of her child—the one she gave life to—soaring through the air. When he finally lands safely, he lets out a whoop and pumps his fist in triumph. And this uncommon woman? She does too. The obviously awesome choice for this mom. 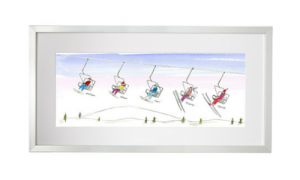 You can find Personalized Family Ski/Snowboard Art here. Here’s to you uncommon women everywhere! May you always be celebrated in a way that suits your individual style. 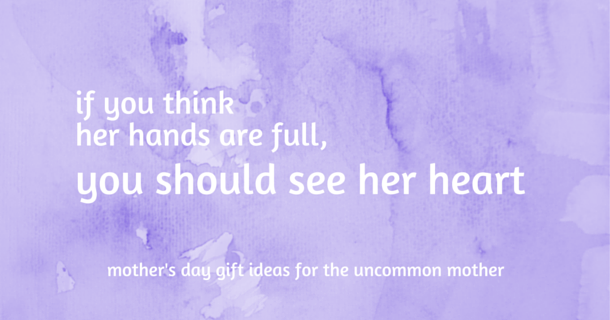 What’s the most uncommon, yet totally awesome Mother’s Day gift you’ve ever given or received? Disclosure: I was compensated by UncommonGoods to write this post. All opinions and ideas are my own.